KAMPALA – MPs on Parliament’s Committee on Commissions, Statutory Authorities and State Enterprises (Cosase) that is conducting an inquiry into the conduct of Bank of Uganda and it’s officials in the closure of seven banks have tasked the Central Bank officials to explain why they used Shs 478billion to close Crane Bank which needed only Shs 157 billion for capitalisation. On Wednesday morning, Mr Benedict Ssekabira, the Director Financial Markets Coordination insisted the figure was Shs157b after COSASE Chairman Andy Katuntu asked how much Crane Bank needed to return to adequate capitalisation at the time of closure. 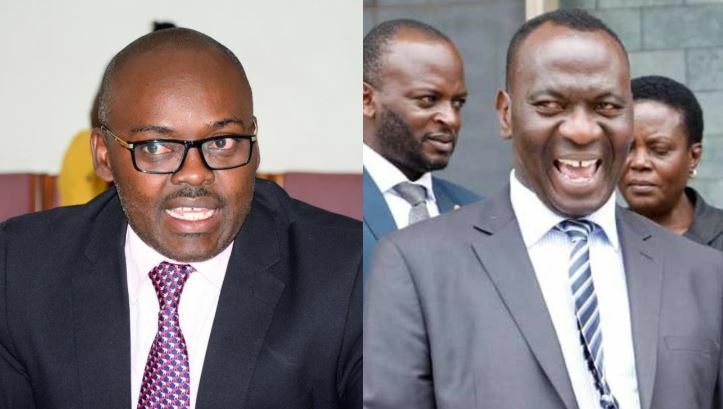 MP Medard Ssegona asked for documentary evidence before Aruu MP Odonga Otto questioned why Shs478b was spent on a bank that needed only Shs157b at the time of closure. “If Crane Bank was in deficit of 157b, why did you use Shs478b to clear mess? Why didn’t BoU just capitalise Crane Bank with 157b,” MP Odonga Otto queried. “A bank can even be recapitalised within a day but it was taken over 10 days before the time it was given in August 2016 MoU,” he said. BoU spent Shs478b as liquidation support to keep running Crane Bank for three months, before it was sold to DFCU for Shs200b in January 2017. Governor Mr Emmanuel Tumusiime Mutebile told MPs that he did not have figures regarding Crane Bank’s undercapitalisation but was contradicted by Mr Benedict Ssekabira, the Director Financial Markets Coordination, who said Crane Bank required further injection of Shs157b for it to remain afloat.